A small poster for a Falmouth based community project. 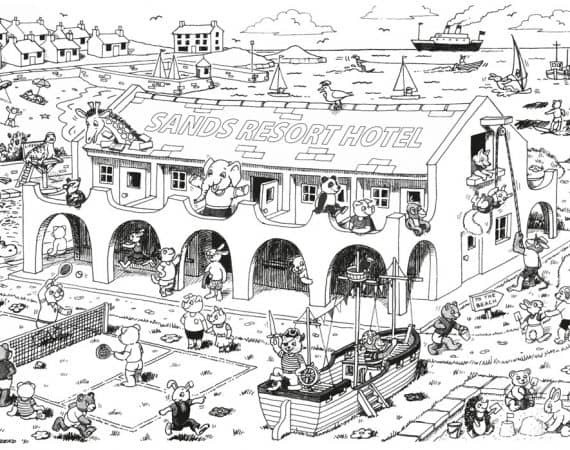 Finding an old coloured illustration provided Sands Resort with an ideal colouring-in project for the children. The original printed artwork was scanned, then retouched, all colour removed and finally digitised as a PDF for in-house printing.